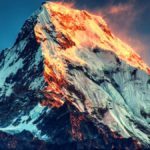 Multiple summits are being reported on K2. As per initial reports from K2 Base Camp, six members of Pakistani expedition reached the top without supplemental oxygen. Names of the climbers are Hassan Jan, Ali Durani, Rahmat Ullah Baig, Ghulam Mehdi, Ali and Muhammad Sadiq. Moreover, members of Italian Expedition, Tamara Lunger and Klaus Gruber, have also summited. It's reported that multiple Sherpas were on the top, as well. 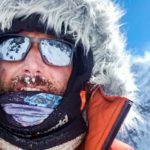 The home team of British adventurer Adrian Hayes has confirmed that he reached the summit at 1520 hrs. "Most excited moment of the journey the successful summit at 3:35 pm," wrote the Nepalese Female Expedition team. The summit push began at 20:00 hrs last night. 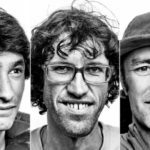 Four Pakistani climbers Hassan Jan, Ali Durani, Rahmat Ullah and Ghulam Mehdi - all climbing without supplemental oxygen - went up with 300m of rope to fix the difficult and dangerous sections of the route to the top i.e. bottleneck and the traverse. 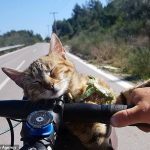 They were joined by three Sherpa climbing with bottled oxygen. At around 01:00 hrs, they could be seen at the bottom of bottleneck. By mid night, almost all Pakistani and Italian climbers had also left the camp. 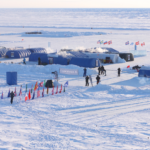 However, two members from the expedition, Pakistani Hassan and Italian Simone, returned to C4 because of headache. 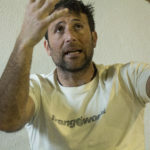 It's reported that Czech climber Radek Jaros has summited at 16:04 hrs local time. It was Radek's 14th 8000er. 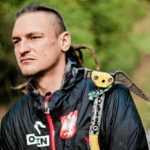 He is now the first Czech climber to complete 14x8000ers. Moreover, there are unconfirmed reports of many more summits. We shall update details as first hand information arrives. 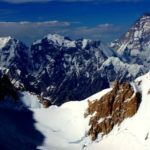 July 26th is an extraordinary day in the history of K2. 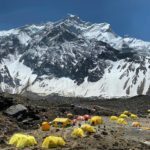 As of now, we have 18 summits confirmed by first-hand reports, 14 reported by relevant source but not confirmed by first hand reports and news is awaited about at least 5-7 climbers. 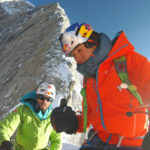 Exweb Interview with Samuli Mansikka | "We might see many summits this year on K2, or then not. This is the magic of K2." The shadow of K2 as captured by Chris B warner, when he reached the summit in 2007. K2: The upper sections of the mountain. Bottleneck and traverse beneath the seracs are most dangerous portions of the climb.